So I'm one for three!!! My first purchase was online with Nickel and Suede. I realize I have a crap ton of their earrings already, but there were a couple of gaps I wanted to fill. First, I love black earrings, but with my hair, they don't stand out. I loved that this pair had the silver accents so they don't get lost in all my hair. I have also been wanting a good pink pair of earrings, and the texture of this cord pair is too good. It doesn't normally bother me if my jacket or coat isn't longer than my sweater or top. UNLESS! Unless I'm wearing a sweater that comes closer to knee length. Then it looks pretty silly to me. 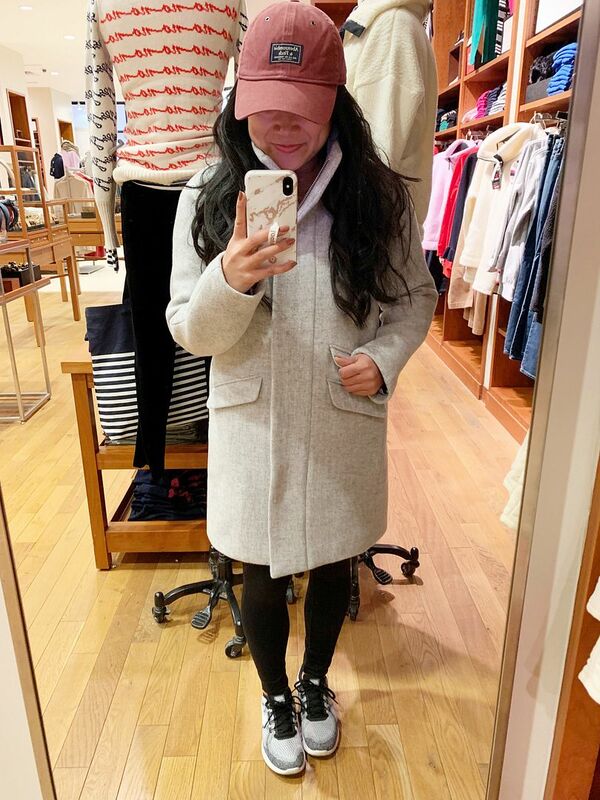 Since I tend to get swallowed in anything that comes past my knees, I knew I would be ok if I found a coat that was knee-length because I would likely never buy a sweater longer than that. I had my eye on this coat a few weeks ago when it was 30% off, but I closed the browser and never bought it. Today, J.Crew was our first stop in our Black Friday shopping trip, and it was a lot harder to resist at 50% off! Plus, it's so incredibly soft. Sometimes wool coats can be itchy, but not this one. It's really great, and I've only heard good things about it. Definitely size down. I'm wearing a 2, and I may have been able to pull off a 0. Next up is the dress. You know I'm a huge fan of Bailey 44 dresses. I loved the higher neckline and the criss-cross/bandage style ruching. Sorry I don't have a try-on photo of it, but the length is definitely closer to my knee than it looks on the model. I took my normal size medium like I wear in Bailey 44 100% of the time, so it runs true to size. I have a winter wedding and holiday parties that I know I can wear this to. And really, I would wear it to work anyway. 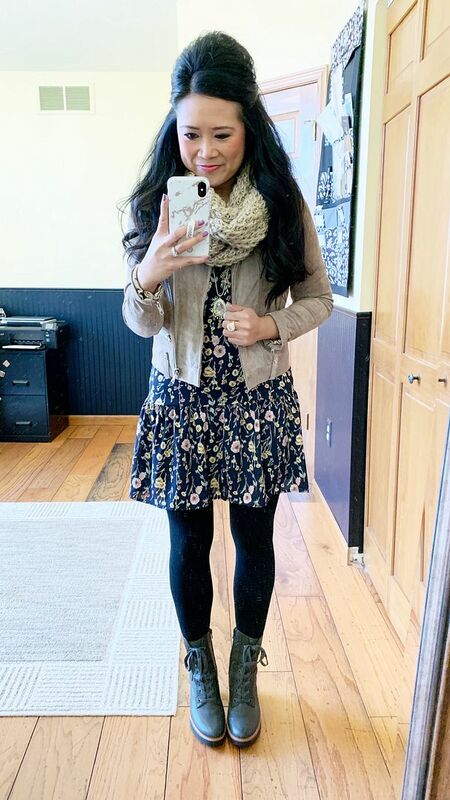 I styled these boots in Wednesday's post a couple of different ways, but I had to share them one more time because I wore them in yet another outfit to Thanksgiving festivities yesterday. I admit I feel very Contempo Casuals in this floral/lug boot combo, but I'm not mad about it. I'm pretty smitten about these boots. They're pretty great! Again, I sized up a half size because reviews said they ran a touch narrow and they fit great. I'm pretty obsessed with the Align workout leggings from Lululemon and I blame Kristi for that! They are unbelievably soft and truly feel like a second skin. If I could, I would replace every single legging in my collection with the Aligns. So, needless to say, anytime I see them on sale, I can't resist them. I got the email about the Black Friday sale, saw this pair, knew I could use my professional discount on top of the sale price and now I have another pair to add to my growing collection! Sorry not sorry. 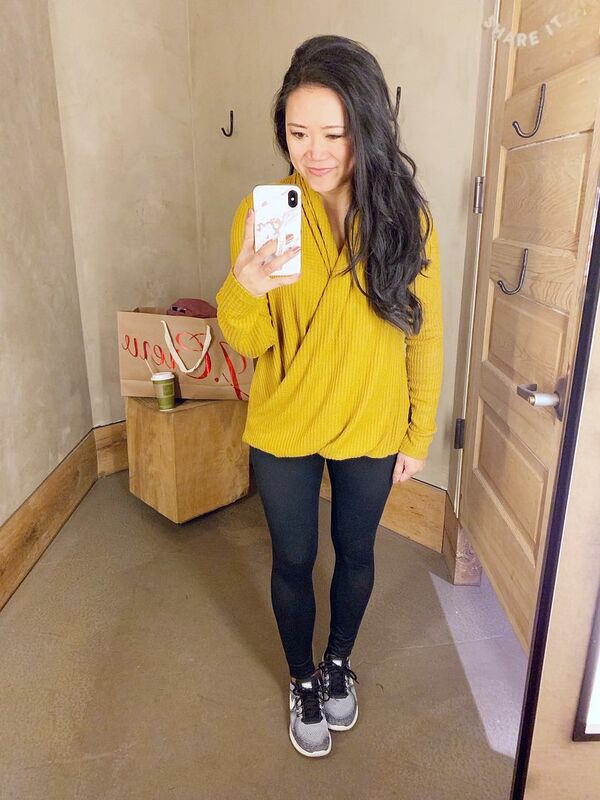 I don't necessarily need more sweaters, but I justified this purchase because it's yellow and I definitely don't have enough yellow in my wardrobe. This sweater is a very soft waffle knit material and I really love the way it drapes. I thought it would be very low cut and I'd have to wear a cami under, and while I do suggest wearing a cami so you don't have to worry about giving people a show when you bend over, the neck does come pretty high so it's more modest than I anticipated. I'm wearing this in a size small. Not pictured and not fashion related is one more Black Friday purchase - our Roomba. We finally broke down and ordered one, which is wayyyyy long overdue considering we have 2 dogs, and have always had 2 dogs for the majority of the 12 years we have been together! We loved that it works with Alexa, and it will be nice to have regular maintenance of our floors! I will keep you posted on how we like it! Edited post to add a couple more things: After I finished this post, I ended up buying a few more things. Not only did I find $100 Macy's gift card, but I also found a $150 Visa gift card... so, I decided to put them to use since apparently I've had them both for over a year. 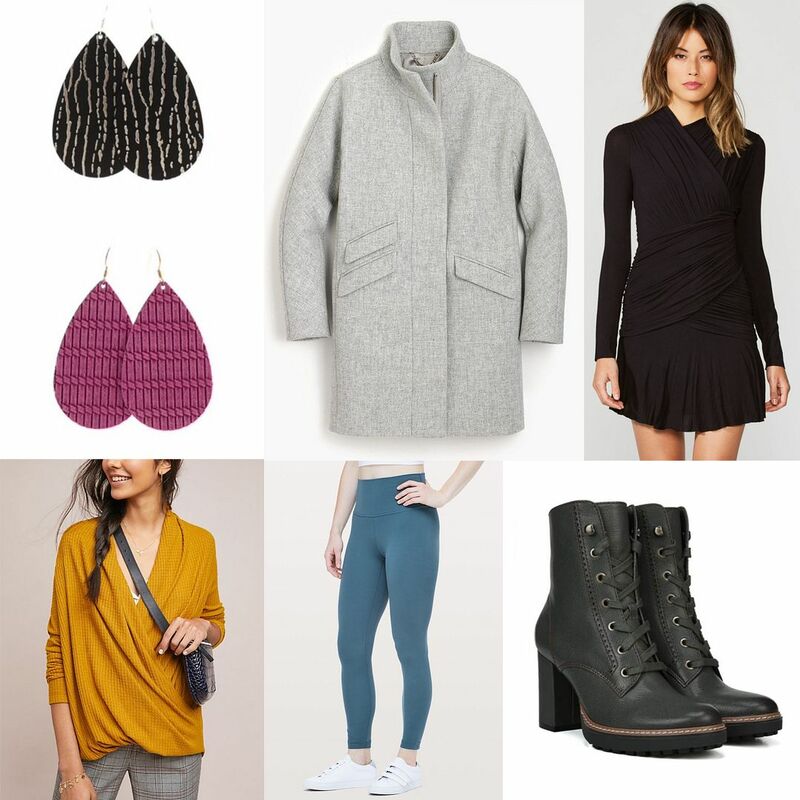 I mentioned at the start of this post that I was on the hunt for knee high boots. 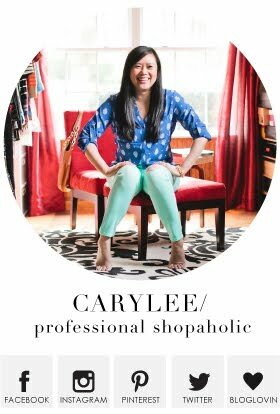 The criteria really isn't that difficult - at least a 3" heel (preferably a stacked or block heel vs. stiletto), preferably leather, fitted, not slouchy. All knee high boots nowadays are flat riding boots, or a super low block heel. All dressier boots are over the knee boots, and while I'm a huge fan of over the knee boots - I prefer them with leggings and jeans because the shaft height is a bit tougher with skirts and dresses. I like the skirt/dress to clear the top of the boot or else the silhouette is just not flattering on me. Anyway, I've been looking for a couple of years now, and I found two promising pairs this year, so I'm trying both. I would have preferred a tan or lighter grey color, but at this point, I will take what I can get! I searched for photos of this boot on actual legs and they appeared to look pretty good. I'm concerned they may be too tall in the shaft, but otherwise they have potential. Jenna pointed out these boots to me today in Dillard's, but of course they weren't part of the 40% off sale and were full price! Even though they are suede, everything else about them was great - they kept their shape, they felt great and fit perfectly. I decided to pass and hold out until I was able to research more online. Slim pickings to say the least, so I decided to go ahead and pull the trigger on them after all. It was tough to find them on sale online. Zappos had them for 10% off, but thankfully the Visa gift card I had made up the difference. Speaking of Jenna we parted ways at the mall - she parked by Macy's and browsed the store on her way to her car. I should have just gone with her because she bought this scarf for herself in burgundy. 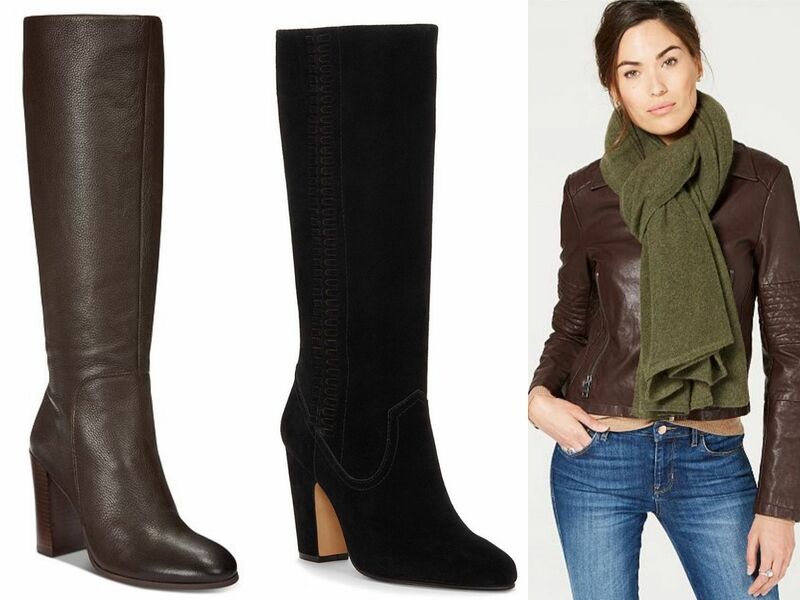 Since I was trying the boots, I went ahead and added the same scarf but in olive into my cart. How can you say no to cashmere on sale?! Ok! I think that's it as far as shopping is concerned! I do have some travel posts to share with you guys, but I figured everyone is in full shopping mode and this would be more relevant than where I've been! I have quite a few posts lined up that I will be sharing over the next few weeks as time allows. It does feel good to share in this space again! 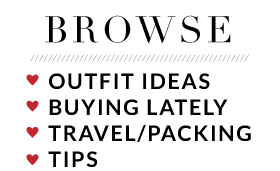 see this is why you need to get back to blogging, I want that bailey44 dress. It's so pretty, I got a similar coat last year for a steal, it was after winter. Great buys! It does feel good to share again! And today was a whole lotta shopping! I really love the coat!! Sooooo fun to see what you got for Black Friday. And seriously, when you have something specific in mind for boots it can be really challenging to get exactly what you need.